Turkish police located Gülenist terror cult's (FETÖ) coup imam, Adil Öksüz, who was at Akıncı Air Base where jets took off on the night of the coup, in northwestern Sakarya province on late Sunday. 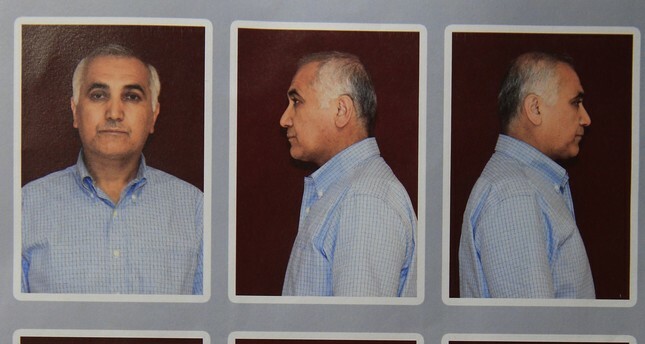 After several weeks of operations to capture Öksüz, police found that the fugitive Gülenist is within the borders of Sakarya province despite the reports that he fled the country. Just recently, police found a flash drive-size GPS device hidden inside the toilet of a police station where Öksüz was held under surveillance for two days. The device was held under police record. Later, however, Öksüz disappeared, taking the device with him. IT experts said the GPS device could have been a crucial part of the evidence proving his involvement as one of the leaders of the attempted overthrow that left 240 people martyred and nearly 2,200 injured. "If the GPS device on him had been seized and examined, the exact positions of Öksüz could have been known," said İlker Tabak, chairman of Informatics Association of Turkey (TBD). Tabak said Öksüz might have recorded on the GPS the coordinates of military units and the assembly areas as part of plotting the failed coup. Therefore, the device would be concrete evidence if Öksüz was arrested and jailed pending trial, he noted. FETÖ, commonly referred to as the Gülen Movement, operates with a secretive structure, with leaders and representatives at the district, provincial and national levels who both act as insiders and decision-makers steering the movement. They face heightened scrutiny after being accused of masterminding the failed coup attempt to topple the democratically-elected government of Turkey. Since 2013, Gülenists have declared war on Turkey and have attempted three coups, through agents who infiltrated Turkish state institutions, including the judiciary, police, military and civil service. FETÖ is designated as a national threat and terrorist cult, and stands accused of a long sheet of crimes, the latest being the July 15 coup attempt. FETÖ members are standing trial charged with illegal wiretapping of thousands of people, sham trials to imprison critics of the Gülen Movement, money laundering, blackmail, extortion and forgery exploiting infiltrators within the police, judiciary, bureaucracy and military.